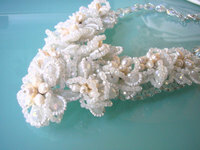 Absolutely stunning, chunky vintage white crystal and pearl bridal statement necklace. 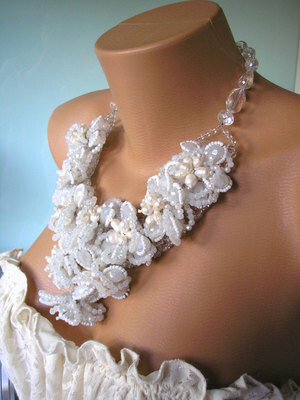 This necklace is made from white aurora borealis faceted crystal briolettes, white seed beads, small white aurora borealis beads and simulated potato pearls made into flowers. The flowers, which are overlapping, are secured to a crystal ladder structure (please see Photo No.5.) The flowers hang from a beautiful chain of clear aurora borealis briolettes. The necklace measures approximately 18.5 inches (47cms) in length. There is also a backdrop extender chain which adds a further 2 inches (5cms) in length if required. The central flower swag measures approximately 9" x 5" (23cms x 12.5cms) in size. It is secured by a substantial silver tone lobster clasp. This is a very substantial piece of vintage jewelry, which weighs approximately 320gms (11ozs) in weight, hence the shipping costs. I believe it could well be an unsigned Butler & Wilson piece, as it is very much of that style. However, as it is unsigned, I cannot substantiate that. 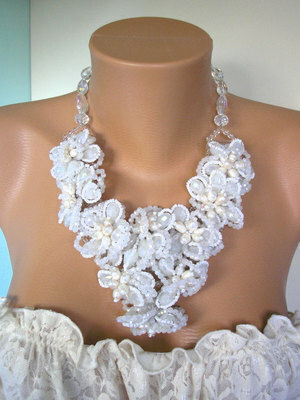 This necklace is in superb vintage condition and would make the perfect bridal statement piece. 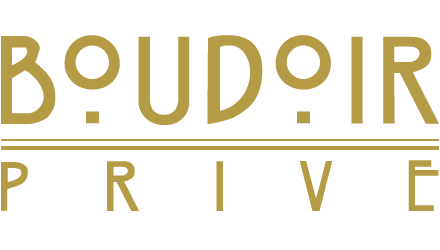 It would also be ideal for wear to a special evening event, such as a black tie or red carpet affair. The multi-faceted briolettes catch the light, causing an incredible sparkly effect. 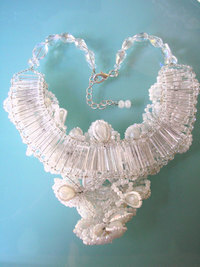 This necklace certainly has the WOW factor and is not for the faint hearted!